Part of this soup is puréed to add body, but it remains chunky and chowder-like and is also good chilled. If you make it ahead and reheat it, you may need to thin it with a bit of water. In a heavy-based pot, heat the olive oil and butter until quite hot. 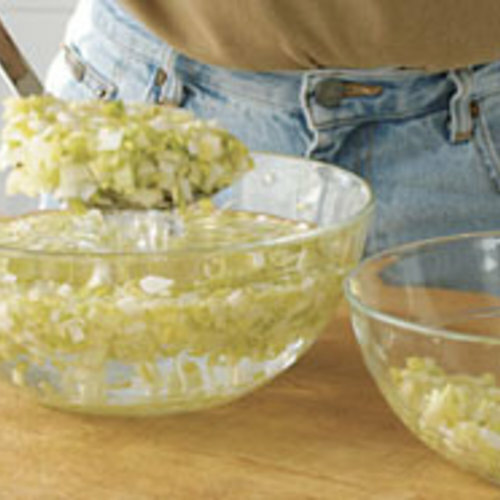 Add the leeks, onions, and salt, and then turn the heat to medium low. Add the thyme and bay leaf. Cook slowly, stirring occasionally, until the vegetables are slightly softened and a bit browned, 10 to 15 minutes. Add the saffron, cayenne, and garlic; cook, stirring, for 1 min. Add the potatoes and chicken broth. Increase the heat and bring to a boil. Reduce the heat to a bare simmer, cover, and cook until the potatoes are tender, about 15 minutes. Discard the thyme sprig and bay leaf. Transfer 1 cup of the soup to a blender to purée and then return the purée to the pot. Adjust the seasonings. 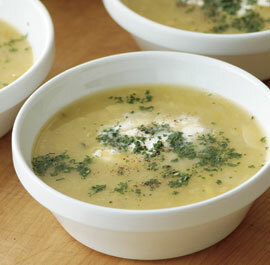 Ladle into shallow bowls; garnish with the parsley, crème fraîche, and pepper. Absolutely dynamite. 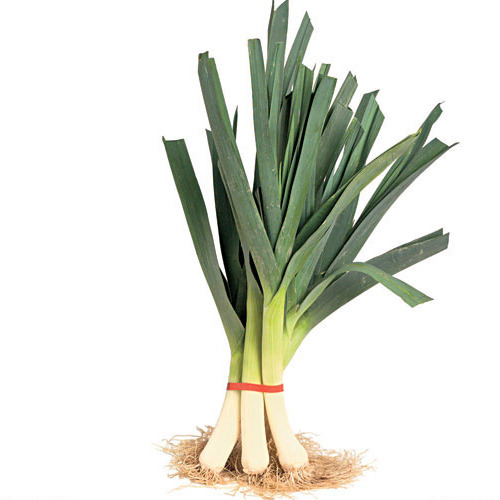 Such rich flavour- the extra onion and garlic are key. I frequently make this to freeze for work lunches. It completely makes my day! I don't bother with the crème fraîche either; it's perfect on its own. simple, fast, and really yummy. I didnt add the creme fraiche, and it tasted plenty rich and robust. (with fewer calories) Make a double batch, and freeze the other half.